The soldiers, both from the 2nd Battalion The Mercian Regiment (Worcesters and Foresters), were taking part in a routine reassurance patrol 17km north of Lashkar Gah when, shortly after 0915 hours local time, the Land Rover vehicle they were travelling in was caught in an explosion. Sadly they were both pronounced dead at the scene. Another soldier and an interpreter who were injured in the explosion were flown by helicopter to the ISAF medical facility at Camp Bastion for treatment. The interpreter later died of his injuries. Private Ben Ford and Private Damian Wright are the first fatalities from the newly formed 2nd Battalion, The Mercian Regiment (Worcesters and Foresters), formerly known as the 1st Battalion the Worcestershire and Sherwood Foresters Regiment (29th/45th of Foot). Private Wright was one of the key characters in our Battalion. Full of life, a natural comedian and a man guaranteed to lift the spirits of the most down hearted. He was devoted to his son, Joshua, and our thoughts are with him at this desperate time. Private Wright will not be forgotten by anyone who had the pleasure and privilege of meeting him. Private Damian “Wrighty” Wright was a proud Mansfield lad who joined his local Infantry Battalion, The 1st Battalion The Worcestershire and Sherwood Foresters Regiment. He joined for adventure, travel and excitement and served in Cyprus, Belize and Kenya. He saw active service in Northern Ireland, Bosnia and was on his second tour in Afghanistan. Small in stature but mighty in character, spirit and life, he was never far from the action, jokes or dramas. He embraced all customs of the Assault Pioneer Platoon with delight and was at his best on a Thursday night out! His main love of his life was his 4 year old son Joshua, who our heart goes out to at this hour. His other key passions, which he will always be remembered for are his addiction to his X BOX, PSP, a good smoke and his cars. Quick witted, able and professional he had already been selected to attend promotional courses where he would have excelled as usual. He was a true soldier, fit, determined, able and keen. Always ready to stand ‘FIRM’ and be counted, he was a young man who could be relied on in the tightest of situations and will never be forgotten by those who loved him, worked with him and fought with him. God bless. As the senior soldier in my platoon, Wrighty could be trusted to get the job done. His experience occasionally gave him a sarcastic edge which I will miss greatly. As a role model to younger soldiers, a huge gap will be left which will be difficult to replace. Wright was a loyal friend whose lively nature shone through everything he did. His son Josh was the light of his life and his fatherly role within the platoon will be missed. He was a constant source of advice for all newcomers and his lack of expressed opinion will leave a void for us all. 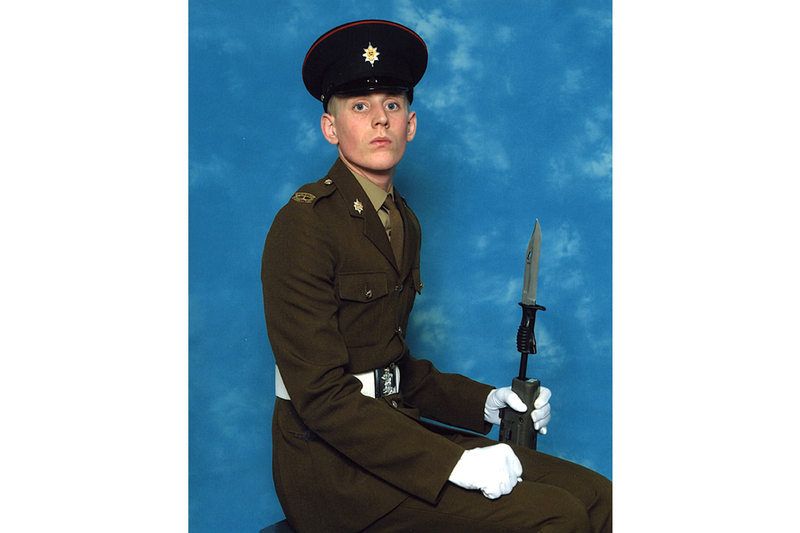 Private Ben Ford, aged 18 from Chesterfield, joined the Army on 29 July 2005, and completed his training at the Infantry Training Centre Catterick before arriving at the 1st Battalion the Worcestershire and Sherwood Foresters Regiment on 20 February 2006, in Hounslow, West London. During his time with the Battalion he conducted public duties and pre-deployment training for the current operational tour. This was his first overseas deployment with the Army. Private Ford was a tremendous young soldier. Fit and enthusiastic, hardworking and committed to his comrades and a career in the Army. He will be sorely missed but never forgotten by all those who had the honour to serve alongside him. Private Ben “Fordy” Ford joined his local regiment the Worcestershire and Sherwood Foresters in July 2005 in his home town, Chesterfield. A proud “Chessie Boy” he served alongside his school friends, Newbold mates and Midland lads. This was his first operational tour of duty in Afghanistan and one that he relished. He was proud to be member of a close knit team, company and family regiment. Young on paper, at the age of only 18; however in life he was mature beyond his years in attitude, bearing and ability. On initial impressions he could come across as a quiet individual but to those who knew him, he had a keen sense of humour and was always willing to get stuck into the action. He proved this by volunteering to compete in the Battalion boxing competition where he fought with skill, style and dogged determination. With his pale skin and fair hair he always battled to avoid sunburn in the scorching heat of Afghanistan but would generally end up looking like a lolly pop. Forever on his mobile phone in Cavalry Barracks, Hounslow, he was a friend to all with a constant smile and always up for the crack and practical jokes. Fordy’s main passions were driving, games, big beers and boxing. The lines and company are quiet with thoughts and prayers for Fordy who will be missed for his professional attitude and practical jokes. A close friend to some, a great lad to many, he will not be forgotten. God Bless. 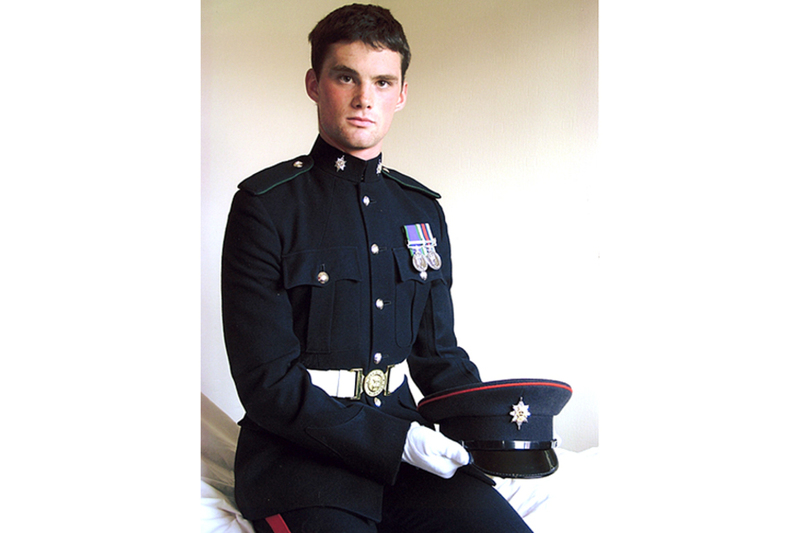 Ben was a very capable member of my platoon who had the ability to go a long way in the Army. Due to his age he had bounds of enthusiasm for anything the platoon embarked on and this quality will be missed by everybody who served with him. I first met Private Ben “Fordy” Ford when we returned from Cyprus in March 2006. We all went out for a drink and we’ve been mates ever since. At weekends we would go out around the town in Chesterfield and almost instantly all my mates were Fordy’s mates, he was such a likeable bloke. He was always up for a laugh, the life and soul of any party. My thoughts are with his family and girlfriend Tasha at this sad time. Fordy was a close friend and a career soldier in a job he loved, he will be missed by me and all that knew him. Fordy was a constant source of morale and the instigator of all platoon pranks. As one of the younger blokes in the platoon his fun loving personality along with his ambition and determination made him a friend who will be greatly missed. We are immensely proud of our son and know that he lost his life doing something he was proud to be a part of and that he loved. We now ask that our privacy is fully respected at this very difficult time. Private Wright and Private Ford were two talented and committed soldiers whose loss will be felt keenly by all who knew them. Their families and colleagues are in my thoughts at this painful time, as are all of our forces facing danger on operations.